Hey friends! I cannot believe this project is finished. It took us just under four months and during it, it felt like a year. But now that we’re on the other side, it feels so fast! Especially when I walk back here, remember what it was like before, and think about how Chris built this for us from nothing. This space is in no way finished design-wise. 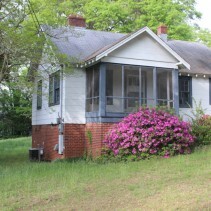 But, the building portion is finished, it looks like a house, and we are living in it! And loving it. Today, I wanted to show you what the finished space looks like and give you some details on what is still to come, though we’re going to take our time finishing up the design. I’ve shared some progress here on the blog, but I’ve covered it very closely on Instagram. If you missed any of the progress and are interested in catching up on it, you can find it all in the “Addition” Highlight on my Instagram profile. Okay, let’s dive in, friends! 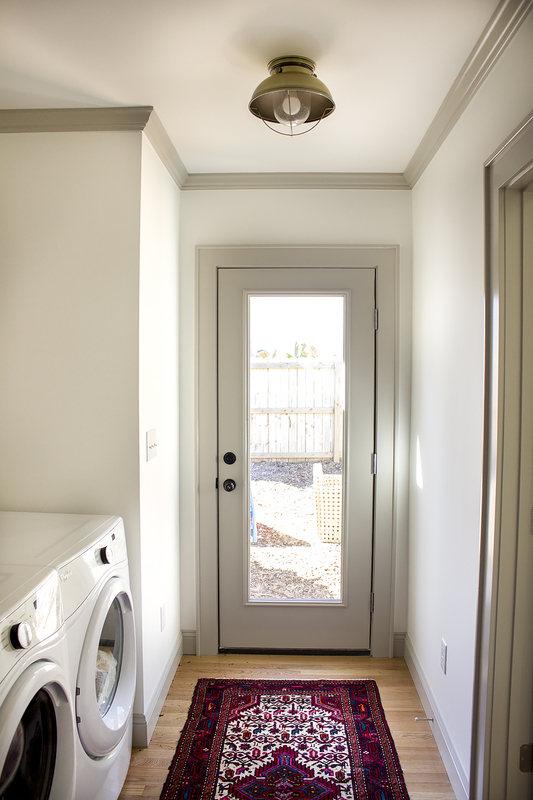 We’ll start with the entrance to the addition: the Laundry/Mudroom/Hallway. I love this big colorful runner in this room. It’s from our last master bath and was an eBay find! As I’ve shared, the colors throughout this addition are consistent with the rest of the house so that it all flows…and because I LOVE them! 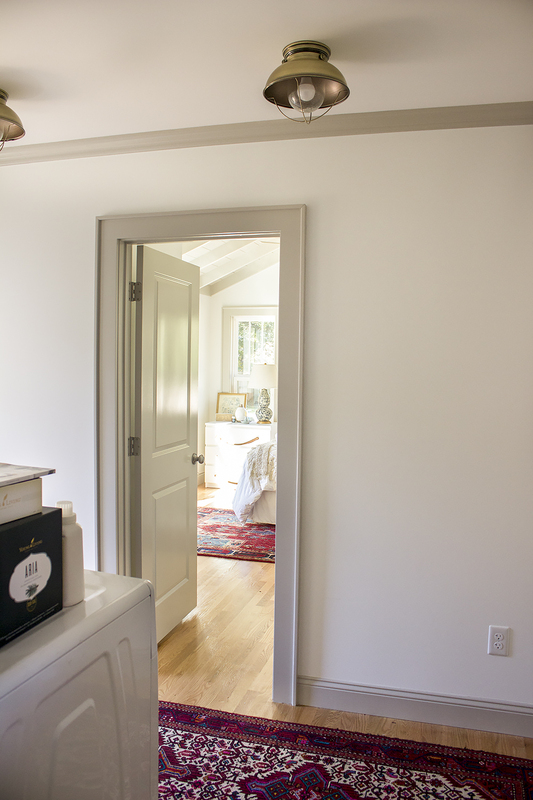 The walls are Benjamin Moore Chantilly Lace (a great warm white that isn’t cream or too stark). And the trim is Benjamin Moore Revere Pewter. I love the mix! This room will be multi-function for us. 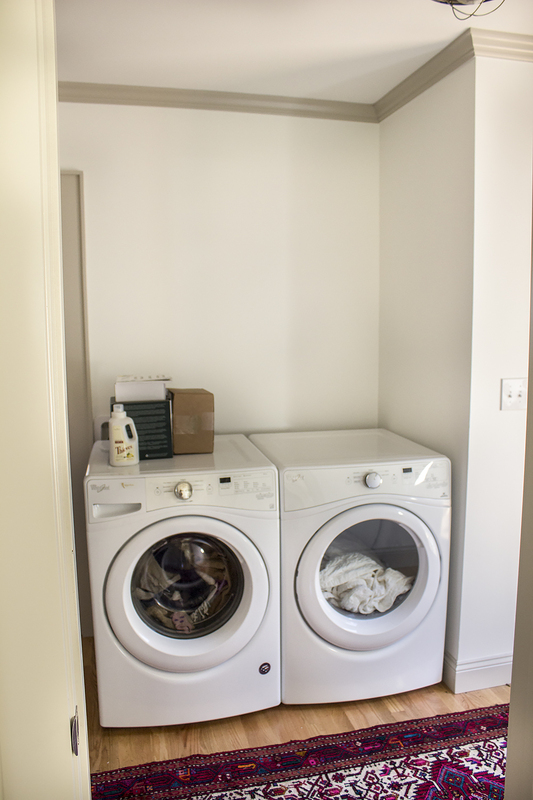 It’s an overall utility room that we’re going to make really pretty and work really hard! I’m so excited about it. We’ll install hooks all along that wall to the right of the door. The laundry area will be built-in with a shiplap “half-wall” on the left (to match the sides of the kitchen island) and a butcher block counter on top. There will be shelves above it and baskets for storage. Here’s another look at these gorgeous lights! The big storage closet here still needs lots of shelves and such built-in, but it’s going to be such a great space for this smaller house! Okay, now onto the Master Bedroom. Oh I could cry over this space, it’s so pretty to me! The ceiling. I knew it would look good, but it is so much more and better than I anticipated. 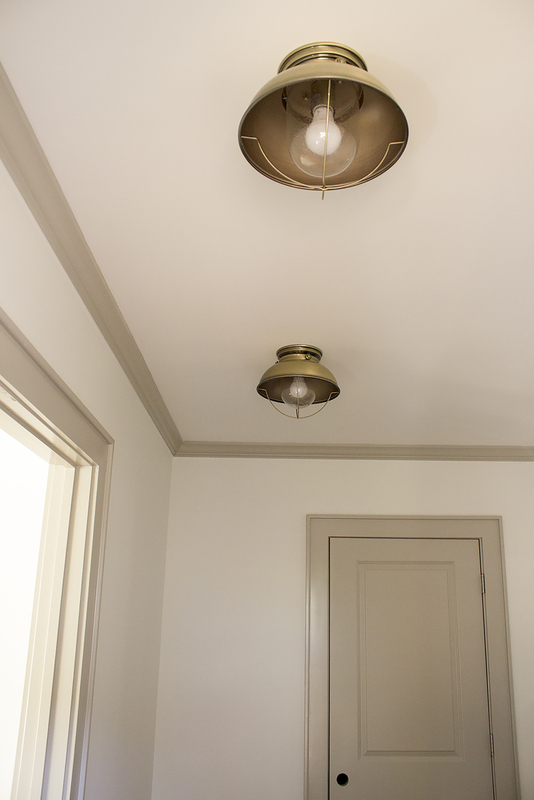 I love a white plank ceiling, but since the trim was revere pewter, we decided it needed to be that. And I LOVE the accent of it! It feels so special and really ties in well with the rest of our home. I would love to be a “pretty chandelier in the bedroom” kind of gal and we’ve tried it in the past! But we just need a fan to sleep. 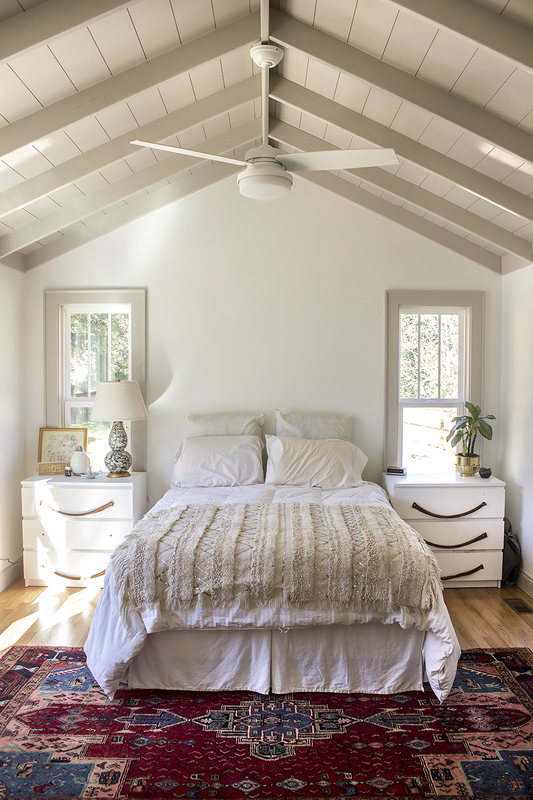 We were looking for something very simple and white and are loving this Hunter fan. We’re using our same IKEA nightstands from our last master bedroom and they’ll likely stay. I’d love some vintage wooden chests, but until we find the right ones, these are so simple and functional! This rug was also in our last master bedroom (an eBay find!) and I love it as much as the day I bought it. At this point, our vision is to finish this room out very simply and neutrally and allow the rug to be the main color and pattern. But then leave flexibility to add different color and pattern to the bed through pillows and throws for different seasons. It’s a departure from our last super colorful and patterned bedroom (which I loved), but it feels right in this season. Still to get for this room? *A BED! We’ve never had an “actual” bed. In each new house, we’ve made a headboard, which has been really fun! But we’re ready for a more permanent, classic solution. We’ve got our eye on one and while it’s pretty reasonable, we’re saving up to purchase it. It’ll come soon! *New Bedding: We also are on the lookout for new bedding. We got this down comforter for our wedding eight years ago and the duvet has seen better days. We’re on the hunt for a beautiful, neutral, high-quality (but not crazy expensive) replacement. *A pair of matching lamps: They’ll be added once I find the right pair. All of our lamps are in good use in other areas, so there isn’t an option to re-purpose some we already have. I’d love something fairly neutral, but chunky and special….probably vintage. *Art: Finishing details like art and a few accessories will be added once the other main pieces are in place. We are so excited to have this haven! 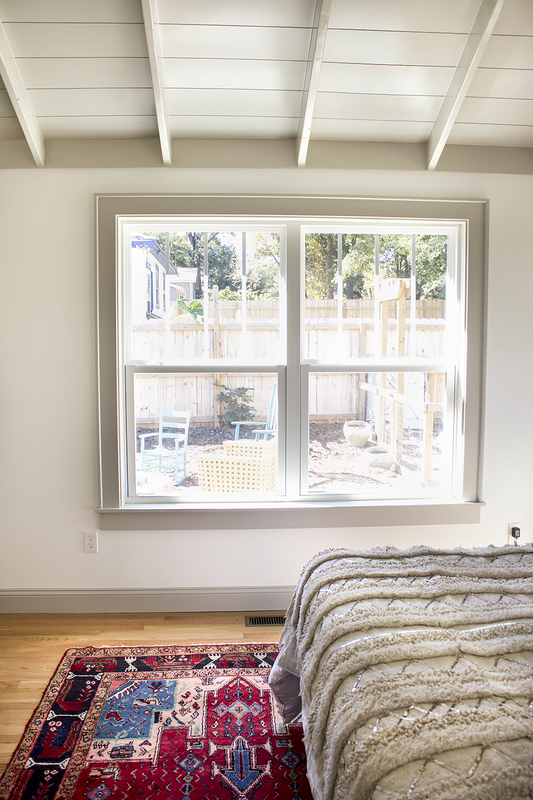 And while this addition was more of an investment decision, we already love having this space. We’re still finishing up the closets, but I’ll share a look at how we’ve organized them once they’re finished. They’re not huge, but feel like a really good size. Oh yes, and drapes are still to come. This room has the best light, which makes a space to me! Okay, now onto the Master Bathroom. I am so glad we did these french doors. They add such character and are such a fun detail. We found this vintage buffet at a local antique store (buffets are better to convert to vanities than dressers because they’re a few inches taller). 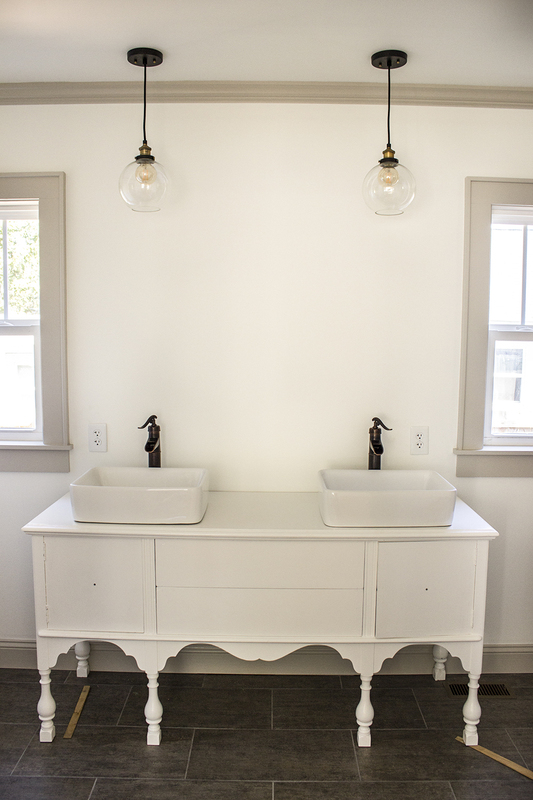 We decided to go white with the vanity color. I considered doing a statement color, but with the trim, walls, and dark tile floor, we decided on a little more streamlined. We still have to add hardware here, but it will be neutral. The overall design vision for this room is layered neutral tones with a pop in the rug (shocker, I know!). I knew I wanted large gray tile to contrast and hide things…as much as I love white tile floors, they show EVERYTHING and never look clean to me. We found this tile at a local Surplus Warehouse and it was a great deal! I’ve seen tile like it at Lowe’s and Home Depot as well. We went with a medium gray grout for contrast without being white. We went with these basic vessel sinks and they’re a great size! And I love these faucets. We’ve used them before and they’re a reasonable, good quality option. I also LOVE these pendant lights! We wanted something that would put off good light verses just casting it downward like a barn light (though we also have can lights in here). And I love that these are simple, but have interesting details like the mixed black and brass. We’ll add wood framed mirrors (that we’re still looking for) to add some natural tones and weight. I love having a wood element in each space. And a colored vintage runner! For the shower, we went with all white subway for the walls and penny tile for the floor. The grout is the same mid-gray as the floor. We love that it isn’t too black, but will stay clean-looking compared to white. We used this Delta shower head, which we’ve used in the past and like the quality of Delta. I also love the contrast of the black with the white tile. And the plan is to add a glass shower door, but the cost of those is high, so that will likely be added later. This shower curtain (purchased about eight years ago from Ballard Designs) is working great for us right now! We pulled it from the other bathroom since the kids only take baths, but if we have guests, we’ll have to put something up in there. 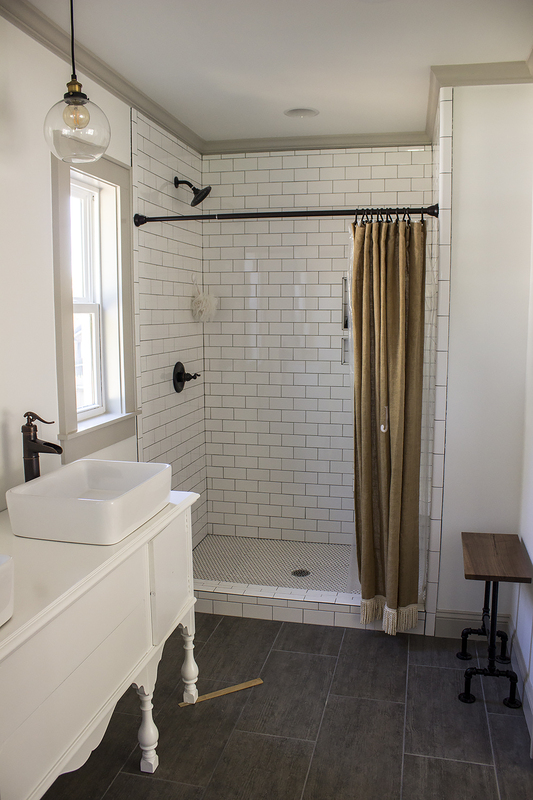 One quick note on the shower tile, I really love going all the way to the ceiling with tile verses stopping a few inches from the trim and having sheet rock. To me, it’s more waterproof. But it’s also a design decision. Just like hanging curtains at ceiling height, it’s more visually appealing and makes the room look taller. And the cost to add a few more rows of tile isn’t too high and is worth it to me. And last shot, this room isn’t too fancy, but it is really exciting to have this closed-off space! We also have room for a really big cabinet in there, which will be great to add some storage. 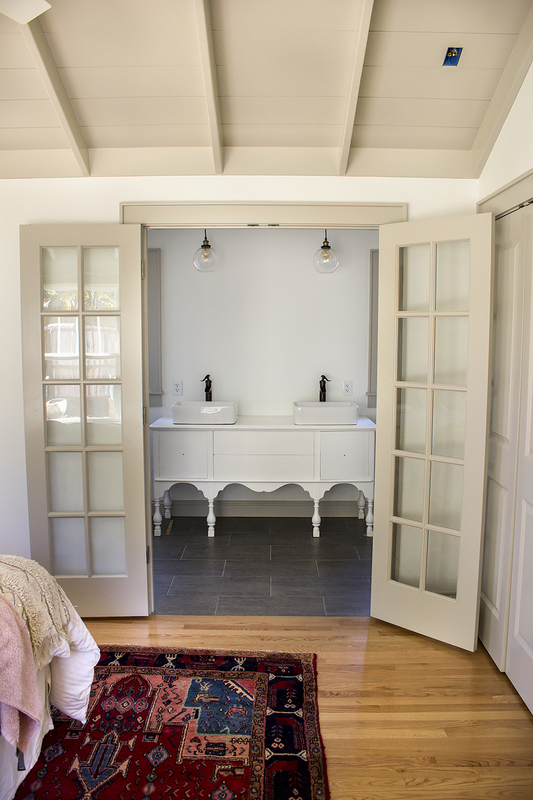 For us, the vanity is big enough to house all of our essentials, but storage for towels, extra toilet paper, etc. will be helpful to have. Thanks for touring our space, friends! It’s been a whirlwind and we are so excited to have it finished to enjoy and start settling and making it home. Hello! I am new here! Beautiful space! 🙂 May I ask where you purchased your fringe blanket on top of the guest bed and the rug in your laundry room area? Thank you! And the rug is from eBay! I love buying vintage rugs on eBay – have bought atleast ten now and have been pleased with every single one! Here’s my tips for buying rugs on eBay! That ceiling is gorgeous! Love all the colors and can’t wait to see it finished and decorated. Oh wow, it is all so beautiful. I love the ceiling and you have made such good use of all the space. Beautiful room. Thank you so much, Marty! I really appreciate that. We’re loving it! BEAUTY! Now more than ever, I’m leaning Chantilly Lace for our new home (it’s been between that and SW Alabaster). I’m also really impressed on how you mixed black and oil rubbed bronze. Are your new doorknobs black or ORB? It’s hard to tell from pictures. Any pointers on how to mix the two? I’ve entered serious decision paralysis over trying to find all black or all ORB fixtures/hardware, which feels absolutely ridiculous but feels like such a crucial decision for things to feel cohesive and flow. But enough about me 😉 — SO happy for y’all! 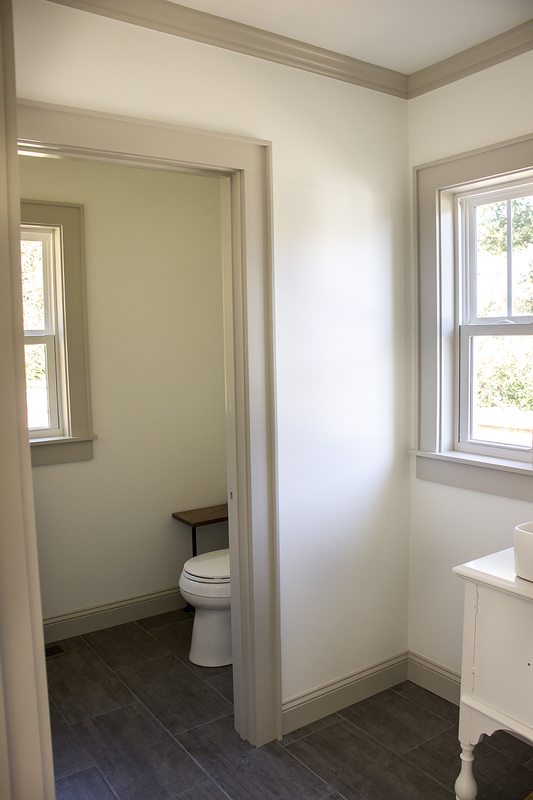 The new addition feels so clean and crisp and I’m sure it’s adding so much functionality to your home. Thank you friend! So to me, ORB feels like black! And even our faucets which are lighter than I expected, they flow really well with black to me. But that’s probably personal preference! If they feel really different to you, maybe stick to one? To me, they work really well together! I just wanted to chime in about Chantilly Lace. I painted my kitchen walls and top cabinets that color last year and loved it so much I decided to paint my living room and hallway a few weeks ago and I couldn’t be happier. I will be painting the dining room over labor day weekend. I have the weirdest lighting issues in my house, it’s dark and gets very little natural light. My floors have a cherry tone which has made finding paints colors next to impossible. I’ve tried grays which turned lavender, beiges and greige colors all turned pink or peach. I had actually tried Revere Pewter but it looked peachy orange 🙁 An employee at BM recommended Chantilly Lace because it doesn’t reflect any other colors and isn’t affected by lighting which I found to be absolutely true. Bonus, it actually tones down the red in my floors. It does not feel stark or cold at all. I wish I had done it sooner! Oh, and Lowes has the formula so you can get it mixed there if it’s more convenient. I have bought it from both places and cannot tell the difference. oooh lindsay! i love the colors you’ve used (the trim is beautiful!) and i really LOVE that bathroom! it’s glorious!!! Thank you so much, friend!!! Love the ceiling!! I want to bump up the ceiling in my master so badly. Everything looks great! What a beautiful addition! Love the color choices and the details, so well thought out. I look forward to seeing all the decor down the road. So delighted that you are already enjoying it. All so beautiful and spacious. Great job ! 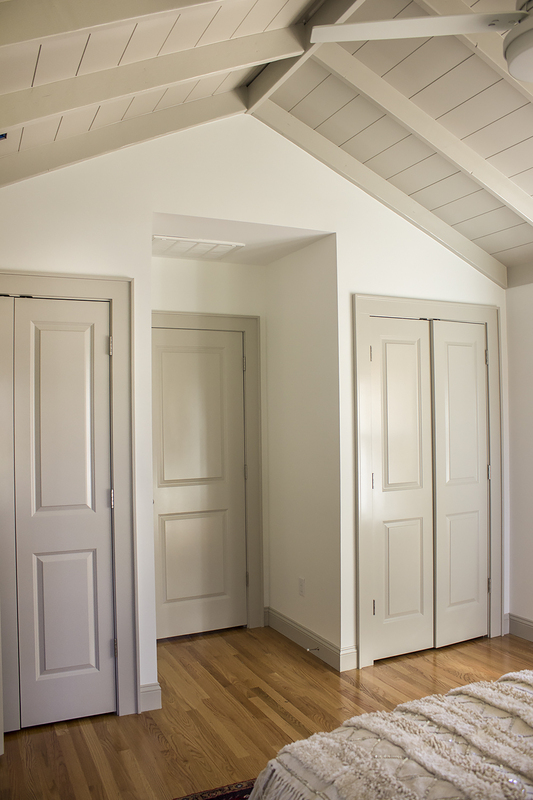 Did you paint the hutch yourself or have someone paint it for you? The neutrality of it all makes it feel so soothing, but the contrast trim spices it up just a tad. Love it! Beautiful beautiful!!! It’s amazing that Chris built that from nothing! So good. Love seeing the progress and am glad you guys are through the thick of it. Just in time for the holidays! This all looks so great!!! Can’t wait to hear more about it as you add the finishing touches. I bet it feels so good to have these new spaces. Your addition is awesome!!!!! Is your shower curtain Burlap?